bloodline produces foals that move with grace. 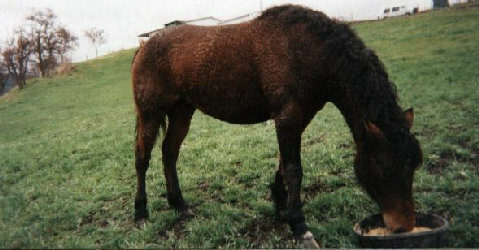 Katie is bred to The Yellow Hornet ABCP 878 (f) for an early August 2001 foal . Katie has a thick, wool like winter coat with large curls.